Piero started as a motor cycle racer before his first 4 wheel race at Mille Miglia 1930. Kept on racing motor cycles until 1937 but stayed with Gilera as a manager both before and after the war. 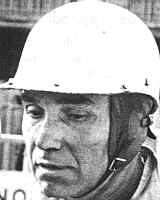 After his win at Mille Miglia 1957 he retired as a racing driver and set up a racing drivers’ school.